on Monday, 10 February 2014. Susan notes: This list makes sense to me, even at close-to-60! This great compliation is often falsely attributed to Maya Angelou. In fact, it was penned by Pamela Redmond Satran, who has written five novels and numerous articles for a variety of publications. One old boyfriend you can imagine going back to and one who reminds you of how far you’ve come. Something perfect to wear if the employer or man of your dreams wants to see you in an hour. A purse, a suitcase and an umbrella you’re not ashamed to be seen carrying. A youth you’re content to move beyond. The realization that you are actually going to have an old age—and some money set aside to help fund it. An e-mail address, a voice mailbox and a bank account—all of which nobody has access to but you. A résumé that is not even the slightest bit padded. A set of screwdrivers, a cordless drill and a black lace bra. The belief that you deserve it. A skin-care regimen, an exercise routine and a plan for dealing with those few other facets of life that don’t get better after 30. A solid start on a satisfying career, a satisfying relationship and all those other facets of life that do get better. How to fall in love without losing yourself. How to quit a job, break up with a man and confront a friend without ruining the friendship. When to try harder and when to walk away. The names of: the secretary of state, your great-grandmother and the best tailor in town. How to take control of your own birthday. That you can’t change the length of your calves, the width of your hips or the nature of your parents. That your childhood may not have been perfect, but it’s over. What you would and wouldn’t do for money or love. That nobody gets away with smoking, drinking, doing drugs or not flossing for very long. Who you can trust, who you can’t and why you shouldn’t take it personally. Not to apologize for something that isn’t your fault. 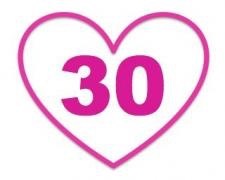 Why they say life begins at 30. The list first appeared under Satran's byline in the May 1997 Glamour Magazine. A more recent (February 2007) Glamour Magazine article, also by Satran, includes the history of the list as well as the list itself. Susan also notes: You can read some of Maya Angelou's beautiful poetry here: Woman Work, Phenomenal Woman.